It is really difficult to think of a kitchen without a pressure cooker. It is no doubt a unique cookware to facilitate effective cooking. The cookware makes cooking faster, healthier and at the same time helps one to save a lot of energy expended on cooking. Here are the top benefits extended by the kitchen equipment. The pressure cooker manufacturers are experimenting with the form and mechanism of the cookware to a great extent and thus the advantages extended by it have gained momentum. Cooking and health are connected in a big way. The foods you eat are the principal elements to keep you fit and healthy. This is the reason when you cook you try to put maximum effort to blend health in the dishes you prepare. Pressure cooking is another name for healthy cooking. The steam formed inside the cooker is the element that locks the health inside the essential ingredients used for cooking a particular dish. It locks the nutrients in the components and in turn help us to intake the nutrients directly. The food cooked in the pressure cooker are also tastier as the moisture that remains locked inside the vessel contain the flavour and it never run out of it. So you get the chance to taste the true flavour of all the ingredients used in preparing the dish. 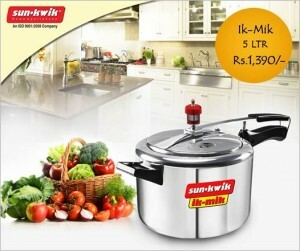 Pressure cooker saves the cooking time to a great extent and especially if it is a stainless steel pressure cooker then the time is saved to a large extent. 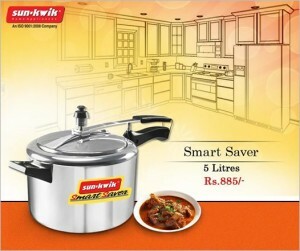 Both energy and money is saved as you choose to a cooker from a trusted pressure cooker manufacturer. It helps you to save you money in terms of the durability of the cooker and saves about 70% of time and energy expended in regular cooking. Thus pressure cooker is the wonder device to make kitchen a pleasant place in true terms. 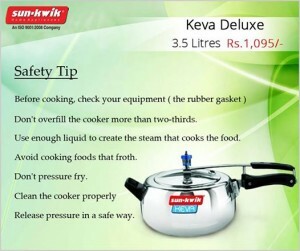 Are you in dire need of pressure cooker appliances and do not know where to look for safe and dependable ones? Do you want to get into the retail market of trading in pressure cooker appliances that are compliant with the safety standards set by the government? You will be glad to know that there are quite a few web stores that trade exclusively in pressure cooker appliances in India. The major brands in this field, along with having outlets in all major cities, have also adopted internet enabled market strategies to boost visibility and sales. From the customer end too, it has become extremely convenient. 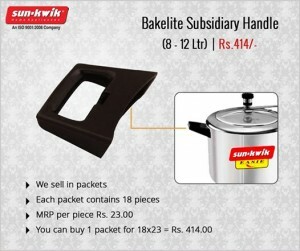 Now any one can buy safe and standard pressure cooker appliances in India from any part of the country and get it hand delivered to their addresses. Pressure cooker accessories are commodities you must never compromise with. 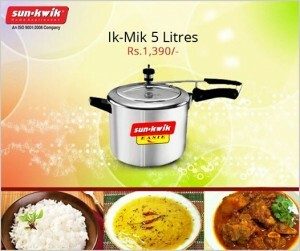 Luckily, now you can find a wide range of pressure cooker accessories in India on the internet. There are a number of sites that specialise in selling accessories to pressure cookers. The products are in keeping with the government standards of safety and are ISI certified. So you can safely use them on your pressure cooker. This can help you to come out of the risk of buying spurious pressure cooker accessories from your local market, where products are often not officially ISI certified. These products are available at a very competitive rate and are delivered to your home. There are options of return in many of these sites. 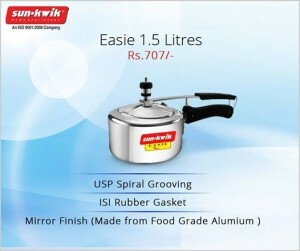 All kinds of pressure cooker accessories are available on these web stores in India. Generally, the product line includes side handles, rubber gaskets, whistles, easy grip Bakelite handles, plugs and extra safety devices. Apart from individual usage you can also procure wholesale goods for retail purposes on very interesting rates straight from the manufacturers. 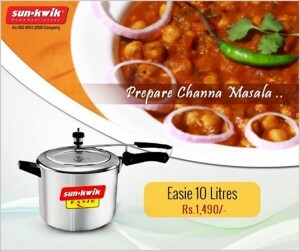 All in all, pressure cooker accessories in India have found a new and vibrant market in the web.